The average high temperature in the summer in England is 72 degrees (F). I would love that temperature in July and August! I wondered about the climate there when I see so many British television shows with the characters wearing jackets, etc in the summer. It is also rainy there year round. Every year I hurry to get the heaviest of lawn chores done early in the season due to the heat that comes in the summer. In the autumn, I also enjoy the garden with the cooler temperatures returning. I am not a “hardy” person who works the yard and garden in wet, cold, or hot weather. I am still searching (online) for the perfect short gardening boot. I am using old sneakers currently, but the laces must be tied and that is hard for me (arthritis, etc). 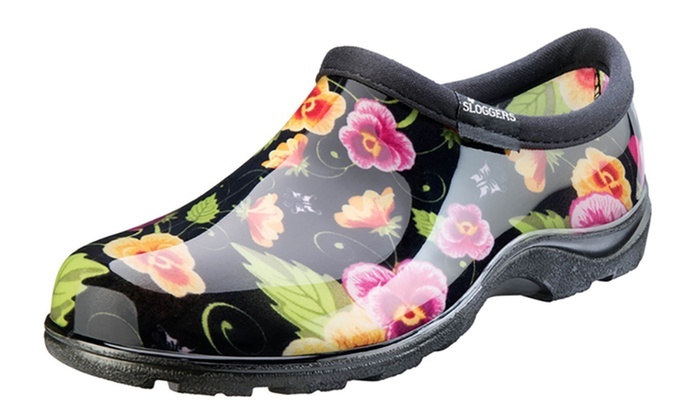 I remember my mother having a pair of gardening clogs by the back door- that is also a good option. Anything that makes it easy will encourage me to get out more!